We have been talking about pollution, the environment, climate change and the future of the planet for decades. We talk about the air, about the water, about sound pollution, plastic and deforestation. 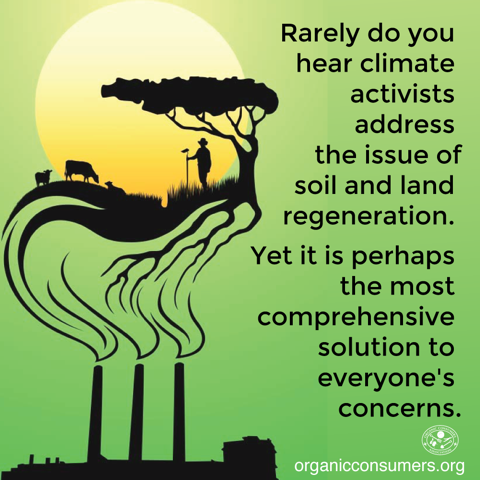 But when was the last time you ever heard anyone talking about our soil? About the fact that if we blow it we won’t eat. Topsoil is that thin, thin layer of soil we can use to grow food in. There’s nowhere near as much of it as you think, and the worst is that it’s disappearing fast. Statistics vary, but a starting point is that we have roughly half as much topsoil now as we had a century ago. And a population that is growing, globally. Where does it go? We build cities on some of our best fields. Great tracts of soil are washed away or blow away in the aftermath of deforestation and other poor management. We make deserts out of what was once fertile land. We poison good acreage with chemicals. We take out more than we give back. Basically, we’ve not been thinking for a long, long while. And we’ve been damn quiet about it. So it’s a blessing that this year our soil gets some limelight. A year, of course, is nothing in the great scheme of things, we need to be thinking about this every day and changing the way things are done. But it is a change to have a chat with your kids, your neighbors, your colleagues and your gardening mates about what is going on. How it could be if all decided to be the change, start doing what we can in our own backyard. A backyard is not much but it’s still a bequest to the generations that come after us. People will need to grow food locally and to do that, they will need good soil. In their own backyard. And soil, as we know, takes a hell of a time to build. So we could make 2015 the year of doing things differently. For our children. And for theirs. I’d definitely like to watch that one, thanks for sharing Neil! Next Entry EM-1, EM-A, EM-X — what’s the difference?